As we are unable to avoid CO2 emissions with the making and transport of each JACQUES FAREL hayfield watches, we are contributing a donation to myclimate.org, an internationally recognized, non-profit organization, with every watch purchased. 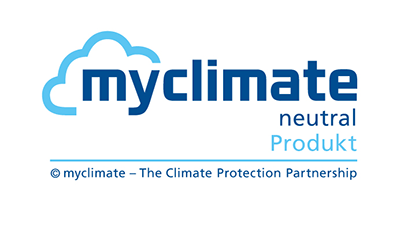 Myclimate.org is one of the world's leader in voluntary CO2 compensation measures that not only contribute to the reduction of climate-damaging greenhouse effect but also promotes sustainable developments locally and regionally. How we compensate our CO2-emissions? Our compensation goes to a project in Kenia – into the preservation of the unique Kakamega rain forest, which has lost since the 1930-ies nearly 50% of its area, caused by the demand of firewood of the surrounding dense population. Until now, in the project region the population use the traditionell open fireplaces for cooking, which are very inefficient. Those fireplaces also eject harmful sooty particles, which affect the cooking women and children. For operating the fireplaces it takes around 15 hours a week, to collect the wood in the nearby rain forest. Therefore they built up a simple, affordable and local stove technology to reduce the wastage of the wood. With the local produced Upesi-stoves, with materials of loam and sand an efficient technology was invented. 35-50% of the firewood can be saved and it burns much more clean. The Upesi-stoves are made by local women groups and sold at greatly reduced prices, because of the high poverty rate in the region around the Kakamega forest. Über 179’000 Menschen profitieren von besserer Luftqualität und müssen weniger Zeit mit dem Sammeln von Feuerholz verbringen. Über 33’000 effiziente Kocher wurden installiert. 477 Personen (72% Frauen) erhalten einen Lohn und verdienen beinahe das Vierfache ihres bisherigen Einkommens. 97% verbesserte Luftqualität in den Häusern. Jeder Kocher vermeidet ca. 3,2t CO2 und 2t Feuerholz pro Jahr. Das Projekt hat bisher über 150’000 t Feuerholz eingespart, was einer Fläche von 437 Hektaren Regenwald entspricht.